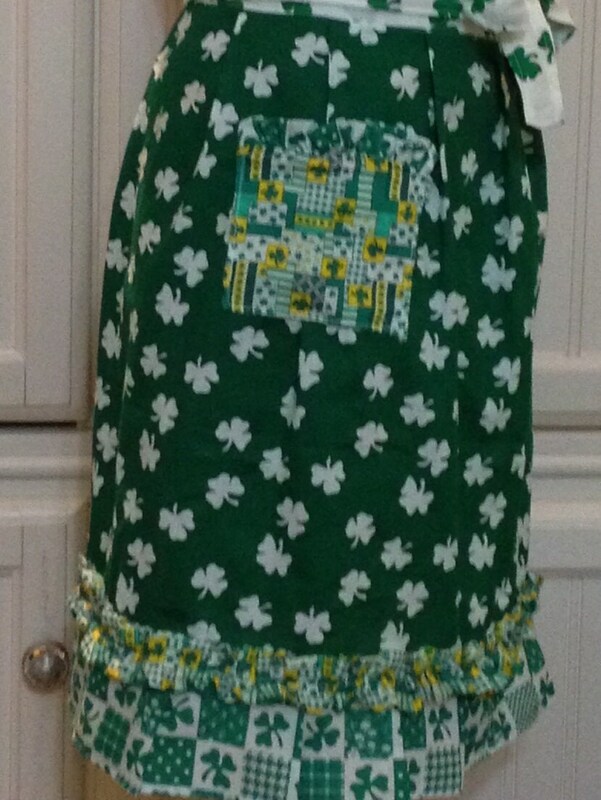 This shamrock filled apron is full of the luck of the Irish. It has a figure flattering gathered bodice with a vintage button on the neck strap that is adjustable to make the fit just perfect for you. 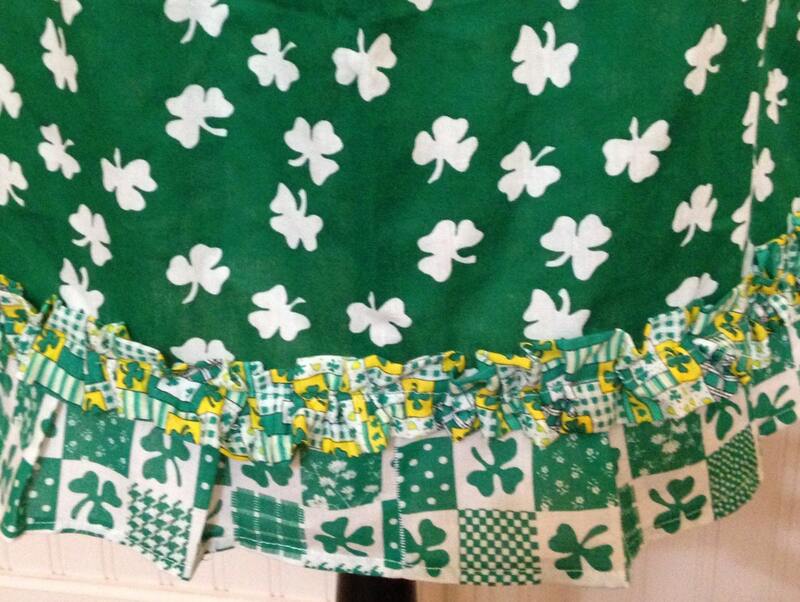 The slimming skirt has two ruffle trimmed pockets and a centered ruffled trim at the bottom so you can look your best for the Saint Patrick's Day festivities. Look closely among the clover to see if you can find one with four leaves for good luck. 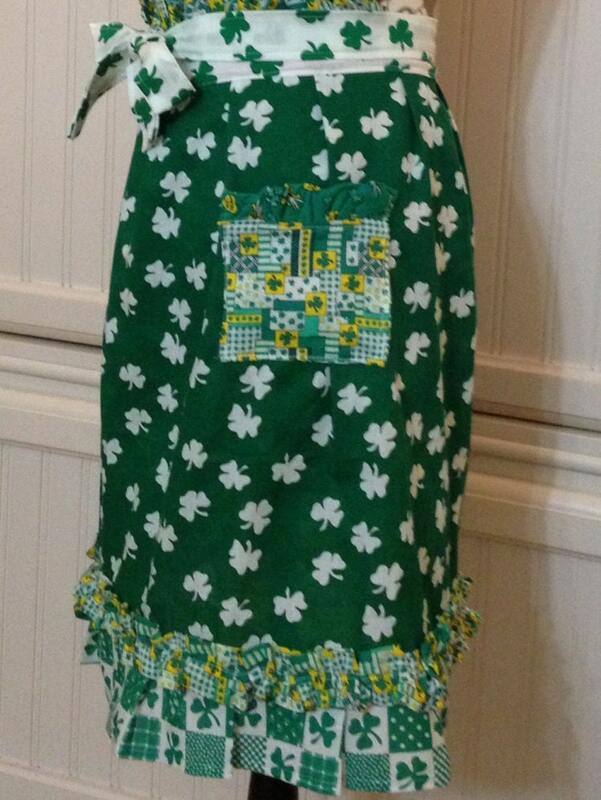 The apron is made from pre washed 100% cotton material. The waist ties are generous and can be worn tied in back or front as shown. All seams are surged for longevity. This apron is so thin!!! Not practical for someone who actually cooks. Splatter will seep right through this single very thin fabric. 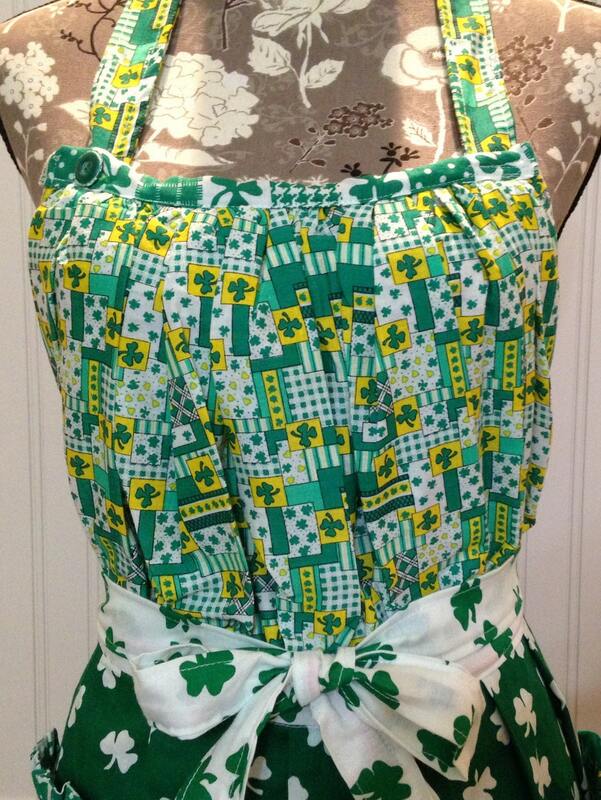 If you want only a decorative apron then this would work since it is cute. Just not appropriate for actually cooking and trying to protect your clothing.